COME TO THE WILD WEST! 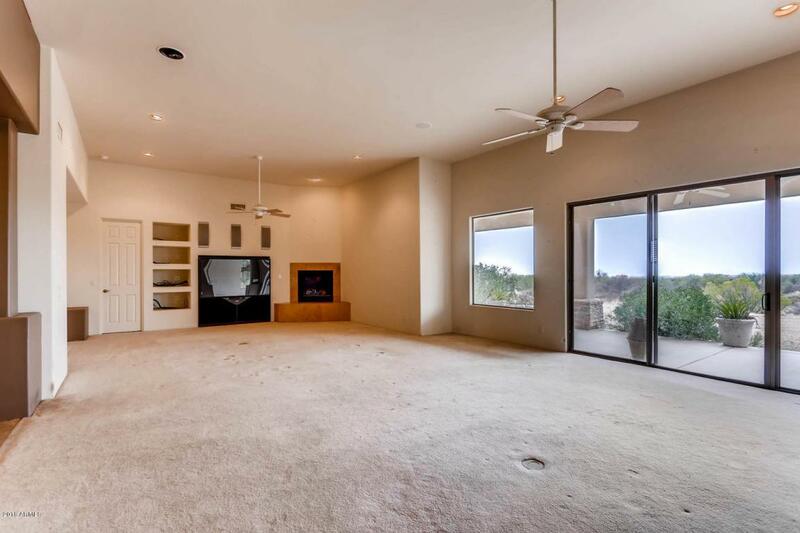 Scottsdale address with county amenities! Tranquil setting, panoramic mountain views. 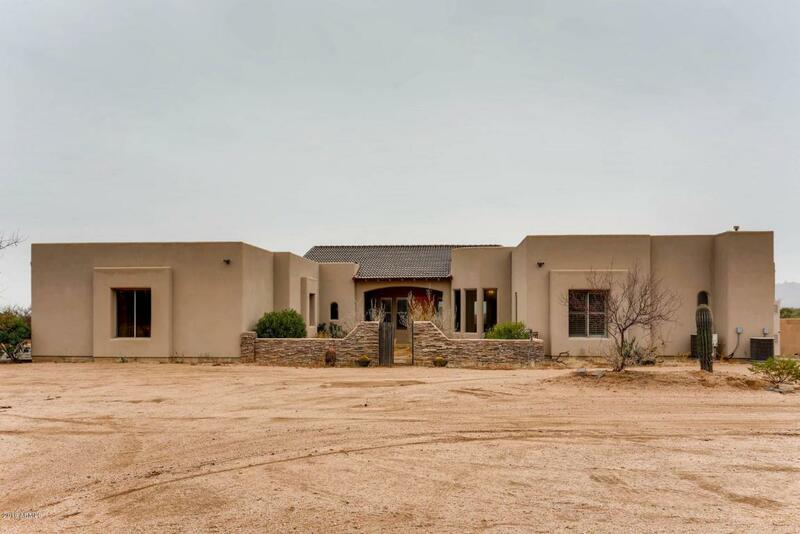 Front of this custom home faces Tonto National Forest.The 5 acres have been cleared of most desert shrubbery on the west and back part of the property.Design your horse facilities to your liking. Enter home through the private court yard into a large living/dining room featuring fireplace, large screen TV, (as is),and surround sound.Don't miss the spacious den/office! All bedrooms are en-suite, and have walk in closets. 3rd bedroom could easily be split into 4th bedroom. Private bath right outside the door.Kitchen has walk-in pantry,stainless steel appliances,gas cook top,tile flooring,granite, double ovens, microwave and lots of cabinets. Master has 13x13 walk-in closet.Jettedtub, walk in shower, and double sinks. 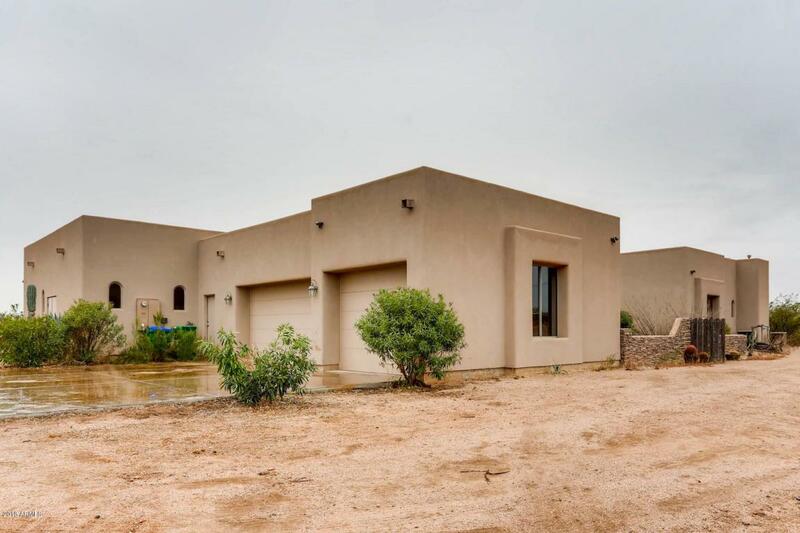 Master and one other bedroom have exits to patiosThere is a large, overisized 3 car garage. Don't miss the laundry room and large area that could be an office or additional storage.. Wonderful opportunity. 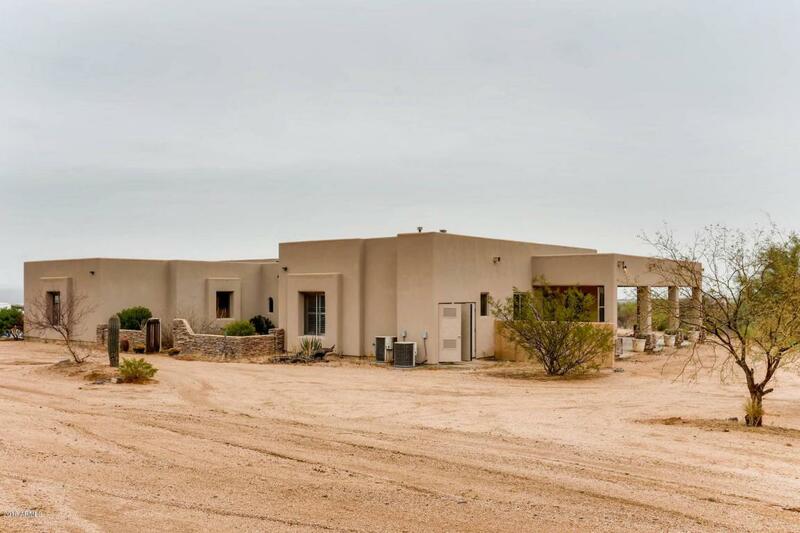 A little bit of elbow grease,paint and possible carpet and you will have a beautiful gem in the desert.